Do You know What's in your Tea Bag? Did you know that Tea Bags of other brands are made with Chlorine - Bleached Paper and are NOT Bio-Degradable! 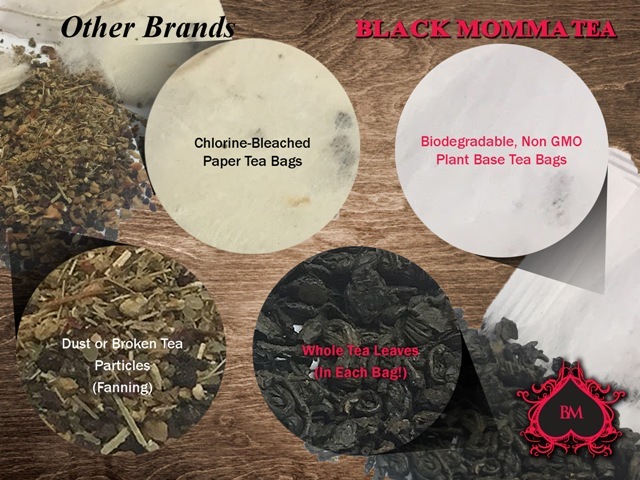 Black Momma manufacture Tea Bags with a patented Bio-degradable Non-GMO Plant Based material. Which hold's Whole Tea Leaves not Tea Dust! Made In The USA!